Think with portals in the sequel to the award winning puzzler. 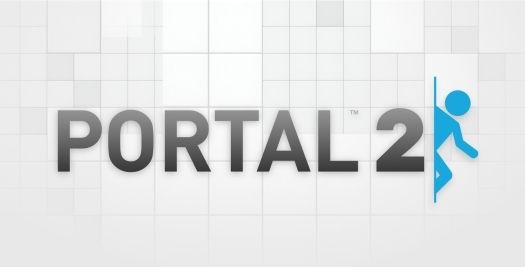 Valve's Portal 2 received a massive amount of hype before its release and shortly afterwards was punished by a harsh batch of initial user reviews, specifically on metacritic. Portal was a hit and is well loved by many fans for its puzzles and the outrageous hilarity of GlaDOS. That said, Portal 2 has a lot to live up to to stand on par with its predecessor. How does this much anticipated sequel stack up? Portal was such a memorable game for two reasons: hard puzzles and the constant humor. Portal 2 does not disappoint in either of those two areas. The puzzles are just as hard as the first game and there are many more of them. The writing for the game is original, and very funny. At the same time, good writing only goes so far in a game. It was a smart choice by Valve to hire three great actors; Stephen Merchant, J.K. Simmons, and Ellen McLain, who reprises her role as GlaDOS. Throughout the course of the game, the voice acting is absolutely superb. There are parts where the game is intensely funny, particularly when J.K. Simmons (better known as Spiderman's J. Jonah Jameson), plays Cave Johnson. Expect hours of laughter in this game. 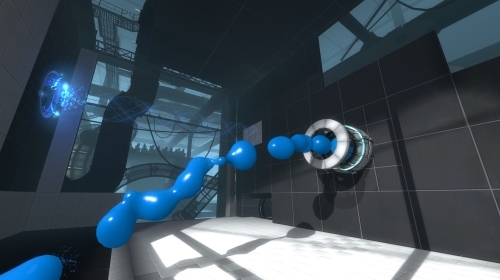 Portal 2 follows the same difficulty progression that its predecessor did. Valve initiated a countdown timer yesterday, which had many people assuming it was for the pre-release of Portal 2, but in fact is was a countdown for the release of this site. It is the Aperture Science website owned by Valve. In a clever way to encourage consumers to purchase indie games Valve announced on the site that they are "Recruiting cpus to force faster boot sequence..." In other words, if enough people buy and play the games in the Potato Sack Portal 2 will be released early. At the bottom of the Aperture Website is a list of all the games in the Potato Sack and the number of CPUs currently playing them. In anticipation of Portal 2's release, most, if not all of the games in the Potato Sack bundle have been updated to include references to Portal 2. For instance: choose any song in Audiosurf right now, and GlaDOS will comment on the player's musical taste (or lack thereof) and re-select the "correct" song - The Device Has Been Modified by Victims of Science. Listen to the song, in all its techno-glory, after the jump.